Hi there Netrunner players, President Zac here. Welcome to the first Friday update from The Board! I know you’re all excited to hear about what we have in store for The Future of Netrunner, and we’re excited to tell you about it. However, since we’re still in the midst of unpacking the proverbial truck we’re going to start with some introductions. While we aren’t ready to share our plans with you just yet, the following bios will help you get to know us and how we plan to approach our respective roles. I’ve been playing since Cyber Exodus, and in the meantime managed to meet a lot of people and make a lot of goofy decks. I love Mushin No Shin, and use it in roughly half of the corp decks I build. Outside of playing Netrunner, I like designing all kinds of games and playing synthesizers. I’m the new President of Netrunner, and my role as I see it is to enable the rest of the Board to do what they do best. I will have ideas ready for us to use as a starting point and a fallback, but I will do my best work by letting the rest of NISEI’s leaders come up with better ideas than mine. I also hope to help them to collaborate smoothly wherever possible, and to try to see things from every angle to make sure we’re not forgetting something while we keep this card game living. 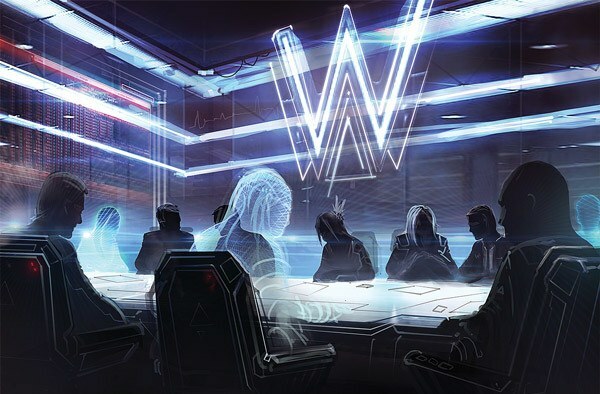 As the NISEI project gets underway, I promise to help the rest of the team bring you stimulating, accessible new experiences that illuminate the world of Netrunner, whether you’re vying for world champion, playing with a couple of your friends, or anything in between. I’ve been playing since ONR back in my uni days although sadly that doesn’t correlate to skill (as my sole GNK victory will attest to). I’ve played competitively since UK Nationals in 2016 where my first game was against IG54… and if the fact I’m still here doesn’t show you I’m here for the long term, nothing will! When I don’t know what else to play, I tend to return to Shell Game style Jinteki and Toolbox Shaper even if they’re a terrible meta choice. I’ve been playing since a bit before Order and Chaos. I had some success early in my ANR career and haven’t so much as sniffed at a win since – but that hasn’t stopped me going all over the country and the world to play! It did give me a highly unfair reputation for killing people and stealing their money which I haven’t shaken off more than two years later! My reasons for applying for EDIT Lead are kinda selfish when you boil it down. I have met so many awesome people and learned so much from them in this community that I am compelled to put every bit of effort I can into making the place warm and welcoming. The more people who join, the more people for me to be friends with and learn from. It’s pretty much a core function of a community, and I hope you can all see the value in it that I see. I’ve been playing since some time during the Genesis Cycle, I think – right around when C&C was released. I’ve been playing Anarch since day 1 and played Whizzard before he was cool. B) Like Alice, I was pretty good way back when and fell out from going to Nationals/Worlds for a bit due to time and money, though I still did Regionals and Store champs and did alright. I love playing murder corps too! I really love the Android universe and have actually read Worlds of Android cover to cover (though it was about a year ago and I’ll be reviewing). I love the diversity of the characters and am excited to maintain it! I really think we can do a lot to either push the world forward or add more flavor to its current state, and with everyone’s input I look forward to doing a bit of both as we see fit. For those that don’t know me, I’m Austin, I live in Detroit, Michigan, and I started Netrunner (super casually) around the time the Core Set came out. I never treated it as anything other than another board game and never attended so much as a GNK until just before H&P dropped. Once I went to my first event, I was officially hooked, and now I can say I’ve traveled around the world to play Netrunner. Andy and RP have always had a special place in my heart and whenever I stray from their factions my tournament record tends to punish me for it. Outside of the game, I spend most of my time making music, wrenching on (and when they decide to work, driving) racecars, and traveling. Any who play Ashes: Rise of the Phoenixborn have probably heard of the Ashes Player Circuit, which was my doing. It was quite the learning experience and I’m looking forward to a successful 2019 season of Netrunner Organized Play. I’m beyond excited for this new era of our hobby and I can’t wait to see all of you again next year! I started playing Netrunner around the middle of the Genesis Cycle (the exact pack escapes me); I distinctly remember being elated to find out that this game had spooky robot babies in it (Fetal AI), so Trace Amount at the very least was out. I dove into competitive play when Creation and Control hit and NZ had their first Nationals (I was on bog-standard BABW and my boi Gabe) and played Noise throughout the Spin Cycle in order to improve in the face of adversity, Stimhacking to break Wraparounds with my lone Crypsis because there was no I’ve Had Worse, Street Peddler, or Inject around to fetch me one of my three Corroders. Did y’all know that Anarch was actually distinctly not good for a while? Classic times; crazy days. Anyhow, Weyland and Criminal are my preferred factions, though most of my stronger tournament performances have been off the back of either HB (ol’ reliable EtF) or Jinteki post-rotation (ol’ reliable Palana). Outside of Netrunner, I’ve been playing analog and digital games since I was but a young’un. Very early on, I formed a proclivity for number-crunching and iterative testing in the games I was playing to most precisely pinpoint my balance concerns, which eventually developed into something resembling an addiction (send help please) that extended across all spheres of my life. Fortunately, I eventually learned to put my meticulously critical eye and neurotic tendencies to some use as an academic proofreader, and have since playtested a fair few games for FFG, Netrunner being among them. Despite my competitive leanings (or perhaps because of them), I recognize that it is important to have a range of player preferences and backgrounds represented in the playtesting process. Having a strong base of highly competitive testers with a keen eye for balance is essential to getting the numbers right, but players with more off-beat perspectives and playstyles can be key to ensuring that the development team doesn’t get tunnel-vision and that designs do not simply cater to one or two types of player. I am confident that between Greg’s profound creativity and vision and my penchant for perfectionism (and the support of a badass Board and stellar community), Netrunner has a beautifully bright future ahead of it. In late 2012 I tried to convince my friend to get back into Magic, but instead he gave me a Netrunner core set for my birthday. When we sat down one afternoon to try it out, we were instantly hooked. The next week I bought the three data packs that were out at the time and another core set. I started building decks. Deckbuilding led to leagues. Leagues led to tournaments. Tournaments led to running events of my own. One thing really stuck out to me no matter how deep I got: the card text and the rule books were so… incomplete. So down another rabbit hole I went. I started emailing and tweeting Lukas. Tweets led to founding the ANCUR wiki. ANCUR led to editing the cards. Editing the cards led to editing the rule books. Until eventually I found myself rewriting entire sections of the rules reference for official publishing. Game systems have always fascinated me, ever since I started making my own board games in grade school, and I’ve never stopped doing game design since. I worked professionally in video games for 5 years, and I’ve used a lot of what I learned working on Netrunner in my own amateur tabletop game design. I’m excited to step off of FFG’s rails and begin working to make the rules simpler, clearer, more consistent, and more accessible than they ever have been. I have already talked with the other editor for ANCUR, and I’m excited to say that we are both letting the project be absorbed into NISEI. Our first priorities will be centralizing all rules (away from Wikia’s awful platform), going through the official rules documents with a fine tooth comb, working with Organized Play on various regulations, and producing card templating guidelines for Design and Development to use. That is to say, those will all be priorities after we fix the problem in the rules that I submitted as an answer to “tell the selection committee a rules interaction they don’t know”. My introduction to Netrunner was from a noted member of the community during the advent of the Lunar Cycle. I remember falling in love with Near-Earth Hub and Ken Tenma, though I eventually settled on Shaper and HB as my preferred factions to play. For the most part my role in Netrunner has been as a meetup/tournament organizer, but in 2015 I did start playing in nearby competitive events with my friends. I’m most well known outside of my play group for having placed second at Worlds 2017 with a deck containing not only two different consoles, but one of them being the questionable Apex card Heartbeat. My favorite part of Netrunner is the incredible gameplay experiences Netrunner provides on even the most introductory level; I’ve played hundreds of Core-only games and even there I’ve loved the intrigue provided by Netrunner’s unique blend of resource management and hidden information gameplay. To that end, my design philosophy is that the simplest parts of the game are the most fun (things like gaining credits, drawing cards, and challenging the opposing player during runs). I strongly believe that we have only scratched the surface of what Netrunner has to offer, and with the community’s help I can’t wait for the release of NISEI’s very first expansion set! Since a lot of people have asked, here was one of my designs I submitted with my NISEI application. My personal goal was to present a thematic, simple card that was powerful but not to the point where it would see play in every in-faction deck. Maybe we’ll see something like it somewhere down the road! As an additional cost to play Moshing, suffer X meat damage. Draw X cards, then install a card from your grip with install cost X or less, ignoring the install cost. Hi all, RC here. I’ll be posting most of these weekly updates on Friday evenings (UK Time) but I thought I’d let @zac write the intro on the first one for posterity :smiley: We’ve got a few admin topics to cover below, so until next week good luck running those nets! If you think that Magnum Opus is the last Netrunner tournament you’ll be able to attend, we’re happy to tell you you’re dead wrong – a new season of Organized Play will kick off promptly in January. You’ll see (and have a chance to win) some teasers for 2019 prize support at Magnum Opus and have regular, scheduled MWL updates and exciting new formats to look forward to. Additionally, proxies will be allowed at all NISEI Organized Play events in the future, so if you were thinking about buying that $100 Creation & Control on eBay, don’t (and if you were thinking about selling Creation & Control for $100, shame on you, and also don’t). Stay tuned for more details! Once again, transparency and honesty are at the core of our mission and we are ultimately servants of the Netrunner community. We definitely appreciate your feedback and we have been overwhelmed with questions since the Board announcement. You can anonymously submit a question, comment, or concern and we will do our best to answer it either here or on the “NISEI questions” forum thread. One thing we’d really like to do as a fan project is keep the community involved and active in what we’re doing. Last month a bunch of people on Stimslack were tossing around some logo ideas for NISEI. We’d like to tap into that creativity and excitement! If you have any ideas for a cool logo, submit them via Google Drive (if you can’t submit via Google Drive, please get in contact with a member of the Board and we’ll work something out). We’re not looking for perfect, polished pieces – rough sketches are fine as we’ll be judging them on theme rather than artistic skills. In a week or two, we’ll host a community vote to pick from our favourites – there’s a VERY SPECIAL prize for each one selected for the vote, and another one for the final selection! Thank you for trusting us with your hobby, and thank you for being the best part of Netrunner. Stay jacked in, spread the word, and Always Be Running.